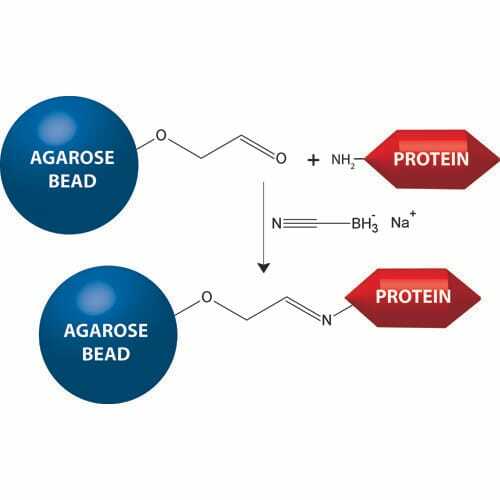 G-Biosciences’ Amine Magnetic Beads are 1µm, uniform magnetic beads with an amine (-NH2) surface functional group. The magnetic beads consist of a single-crystal Fe3O4 sphere core and dextran coating layer. 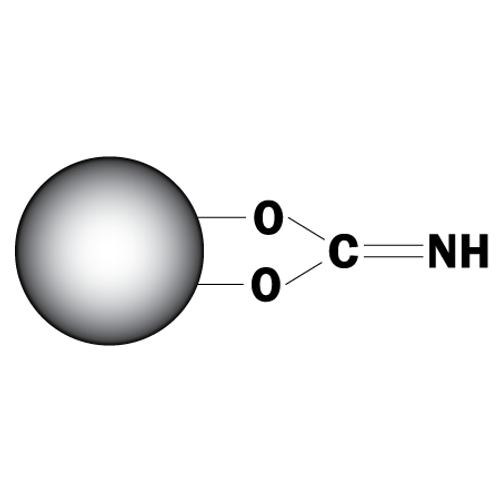 Through chemical modification of dextran, the primary amino group (-NH2) are.. 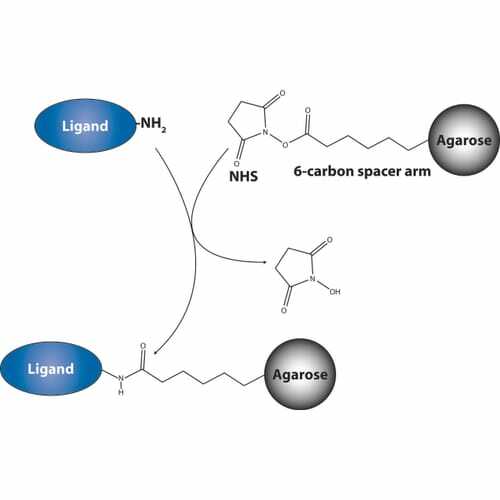 The Carbohydrate Coupling Resin is designed for the simple and efficient coupling of glycoproteins to a solid agarose support through oxidized sugar groups. 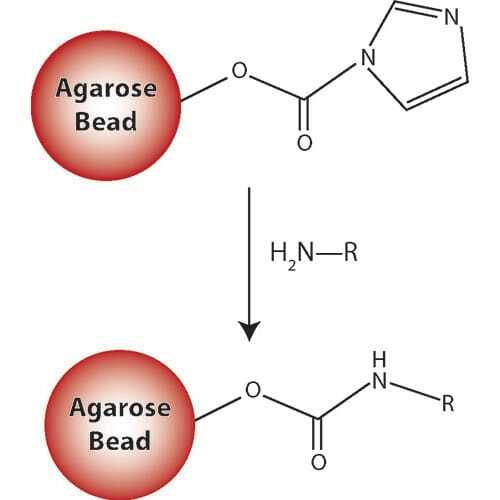 The coupling is through the hydrazide group that is immobilized to agarose beads. 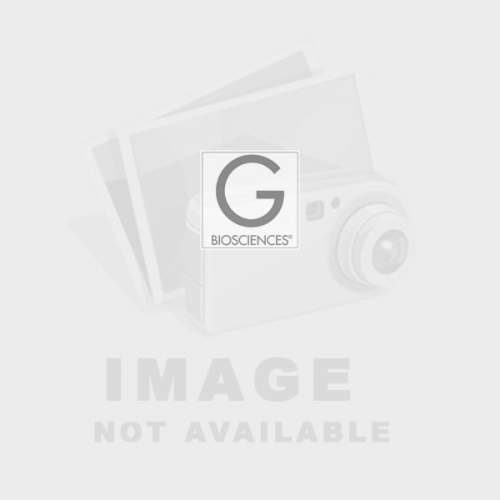 The resin is ideal for immobilized polyclonal antibodies as t.. The Carboxyl Coupling Resin consists of 6% cross-linked agarose with covalent linked diaminodipropylamine (DADPA) to generate a free primary amine at the end of a long spacer arm. This resin is also termed as EAH-Agarose. 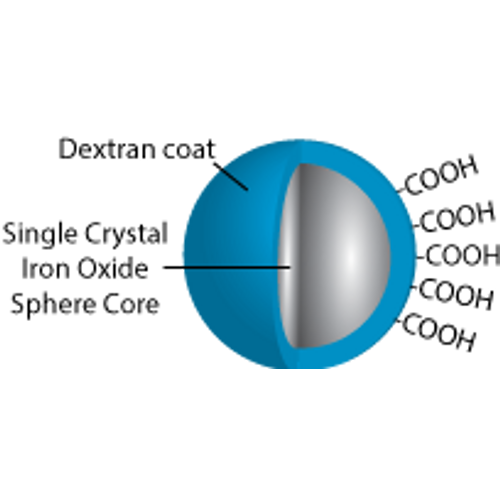 Molecules, including proteins, peptides and nucleic acids, are c..
G-Biosciences’ Carboxyl Magnetic Beads are 1µm, uniform magnetic beads with surface functional group -COOH. 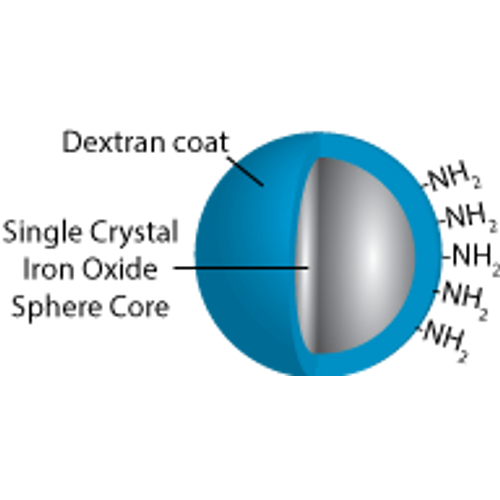 The magnetic bead consists of a single-crystal Fe3O4 sphere core and dextran coating layer. 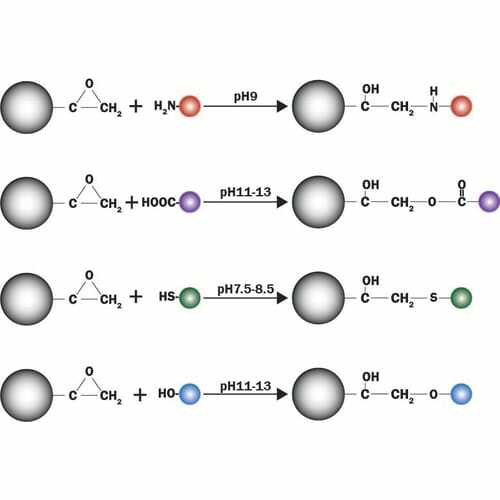 Through chemical modification of dextran, the carboxyl groups (-COOH) are joined to..
G-Biosciences CDI Amine Reactive Agarose consists of 6% cross-linked agarose activated with CDI (1,1’-carbonyl diimidazole) to form reactive imidazole carbamates. The activation of the resin occurs in solvent and to maintain its activity the resin is supplied in acetone to preve..
CNBr-Activated Agarose is pre-activated high capacity resin used for covalent coupling of antibodies and large protein molecules for affinity chromatography. Cyanogen bromide reacts with hydroxyl groups of resin to form cyanate esters which inturn reacts with primary amine ligand..
ECH-Agarose contains carboxyl functional group for coupling of affinity ligands via their amine groups for affinity chromatography. 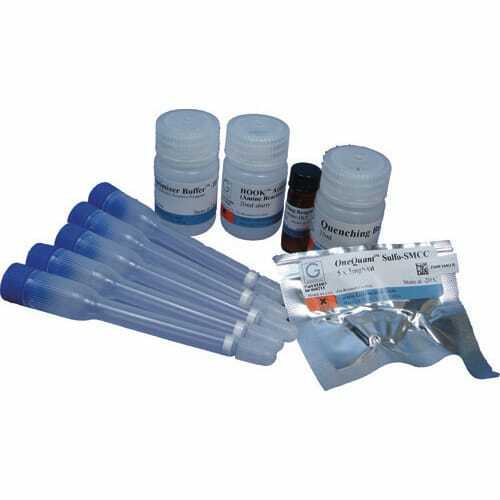 ECH-Agarose is prepared by condensation of Carboxyl Coupling Resin (Cat. 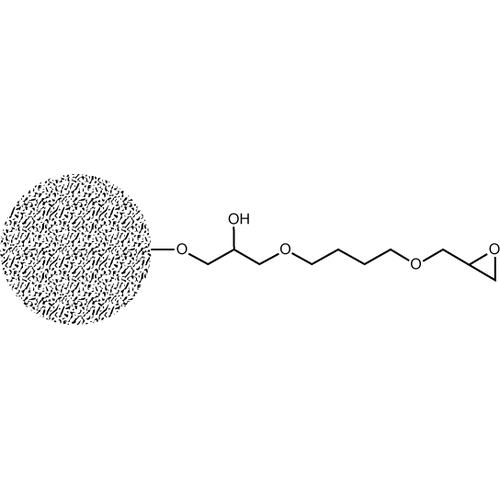 # 786-797) with succinic anhydride, resulting in 15-atom hydrophilic spacer arm. 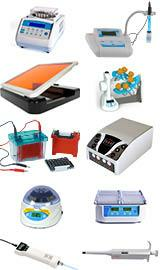 ..
Epoxy-Activated Agarose is preactivated resin used for affinity chromatography. 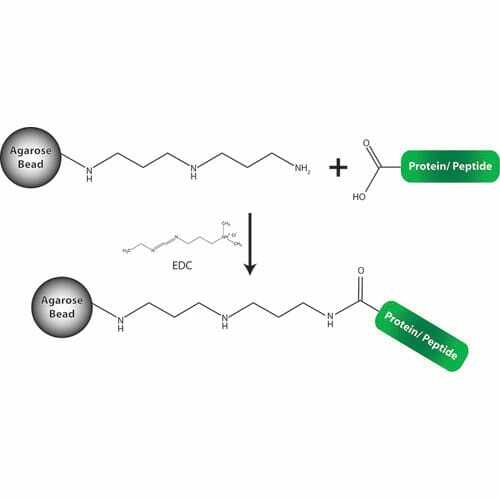 Epoxy-Activated Agarose comprise of high density epoxy groups that form covalent bonds with ligands containing amine groups, thiol or hydroxyl groups. 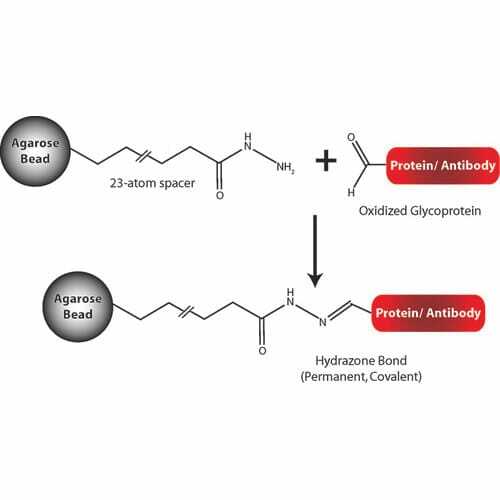 Epoxide-Acivated Agarose is prepared by immobilization of ox..
For the generation of peptide and protein affinity columns, for the purification of antibodies and for the discovery of important interacting proteins and cofactors. G-Biosciences offers activated agarose for the coupling of peptides and proteins to agarose through their primary amines. The..
An important tool in research is the generation of peptide and protein affinity columns for the purification of antibodies and for the discovery of important interacting proteins and cofactors. 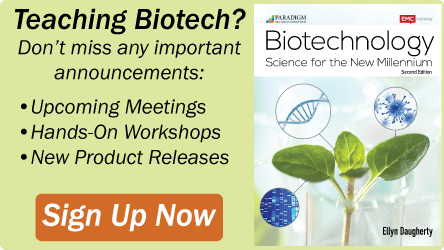 G-Biosciences offers a complete kit for the coupling of peptides and proteins to agarose through thei..
G-Biosciences Immobilized O-Phosphorylethanolamine is used in purification of calcium binding C-reactive proteins such as canine CRP and human CRP. Immobilized O-Phosphorylethanolamine can also be used as substitute for p-Amino Phosphoryl Choline Agarose which is used in purification of C-rea..
NHS-Activated Agarose consists of 4% cross-linked agarose that has been activated by the addition of a reactive NHS (N-hydroxysuccinimide) group. The NHS group forms covalent, chemically stable amide bonds with ligands that contain primary amines. The NHS-Activated Agarose also contains a spacer arm..